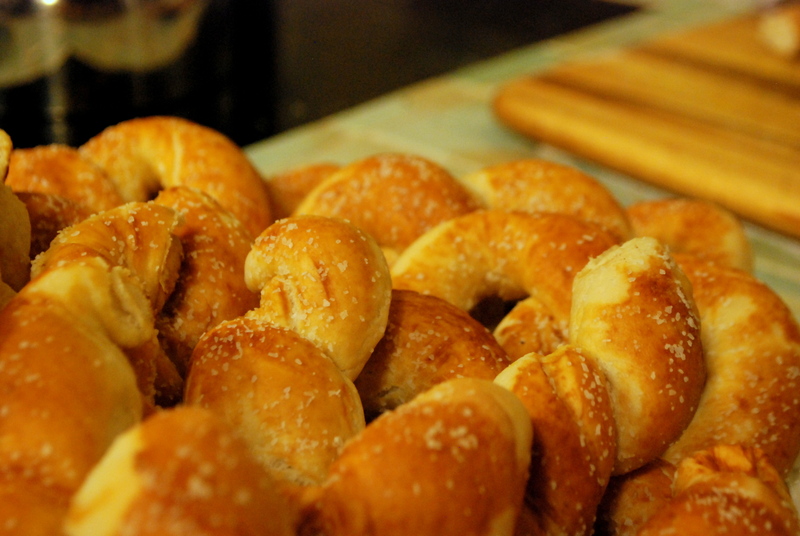 Pretzels are a required food for Oktoberfest. This beer-centric holiday came to an end just a few days ago, but rest assured we celebrated appropriately, even in California. Combine all dry in ingredients in mixing bowl, I like to use a stand mixer. I don’t like washing dishes, so the only attachment I use is the dough hook. It is very important to only use your hook to knead dough on LEVEL 2. Not on level 1 or 3, or any other level. This will help to prevent your motor from burning out. Knead for 8-10 minutes, or until the dough isn’t tearing apart in the bowl. Your dough may need additional flour than what the recipe calls for, add however much it requires. Our goal here is to end up with a slightly tacky, almost satiny dough. Coat your mixing bowl with oil, place dough back in the bowl, cover with plastic wrap, and let rise in a warm place for approximately 1 hour. 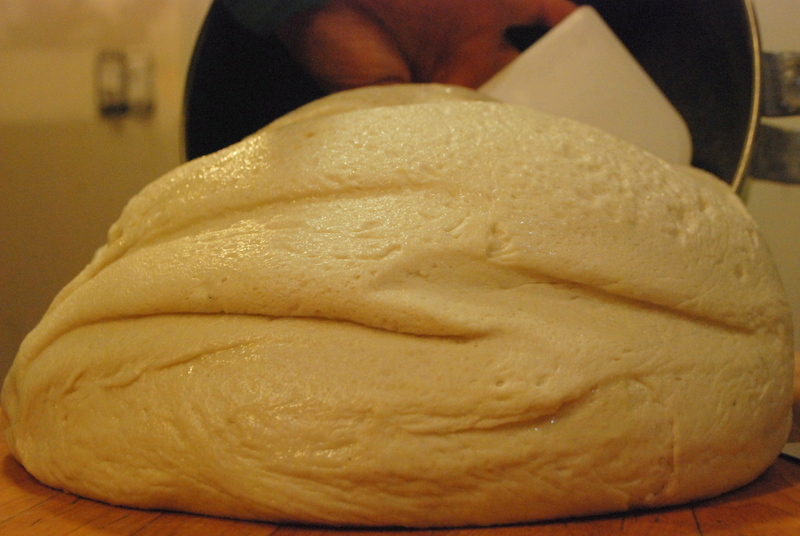 Once your dough has doubled in size, turn out onto a clean work surface. I make a lot of bread, so I’ve got a dedicated bread board, but a large cutting board or clean, not chemically laden, counter will also do the trick. 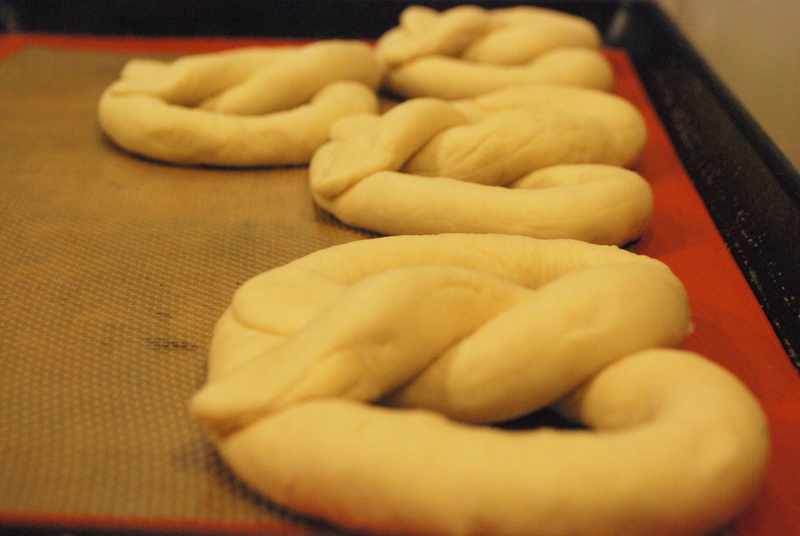 For a classic pretzel shape, portion your dough into 4-4.5 ounce pieces or approximately 8 equal size pieces. 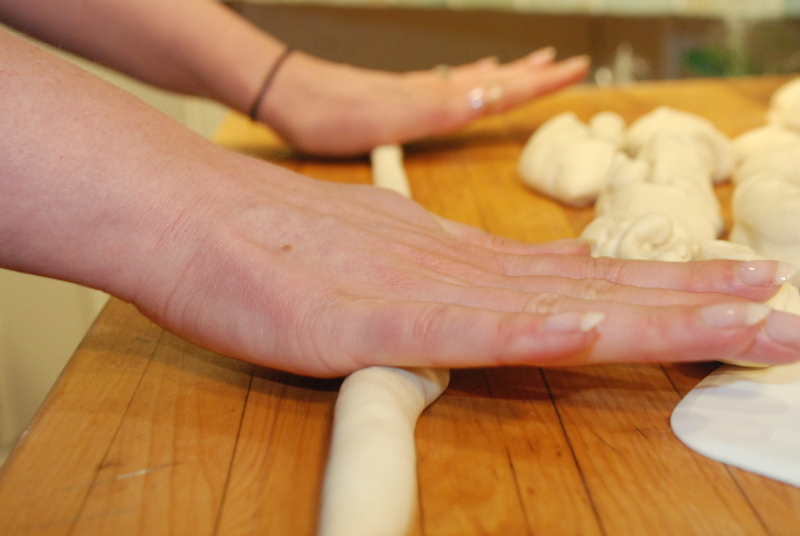 For pretzel twists or sticks, I use half that amount of dough for each piece. 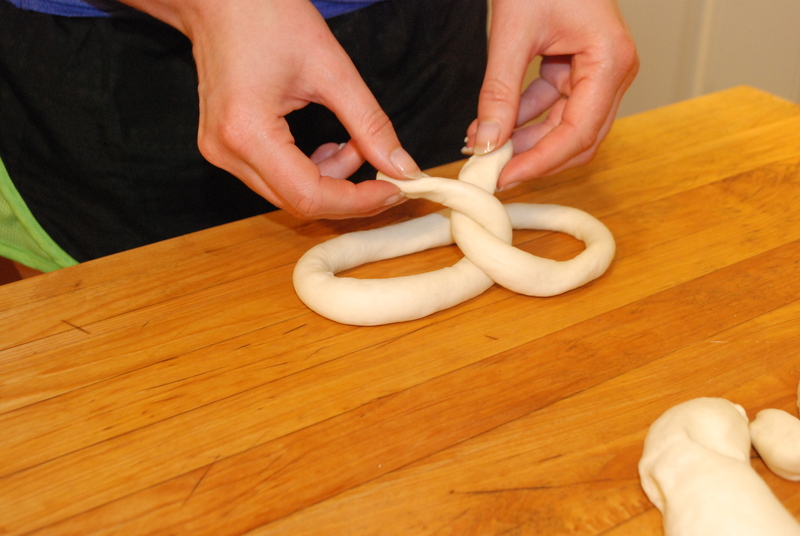 To make the classic pretzel, roll the dough into a 2 foot long rope. Next, shape into a heart, twisting the ends, then pressing gently into the bottom of the heart. Place pretzels on a parchment lined, or better yet, a silicone mat lined baking sheet. Brush each pretzel with a generous amount of alkaline wash. 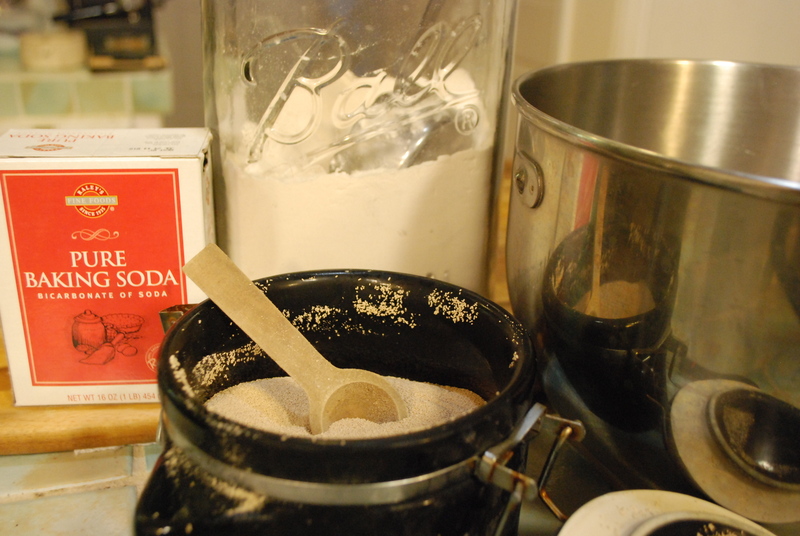 This helps to convert the flour starches to sugars, which makes for a perfect crust. Bake in a 450 degree oven for 5-10 minutes, until the pretzels have cooked about halfway. Take out of oven and brush with melted butter and sprinkle with coarse salt. The butter will help the pretzels to become a beautiful golden color, and of course taste extra yummy! 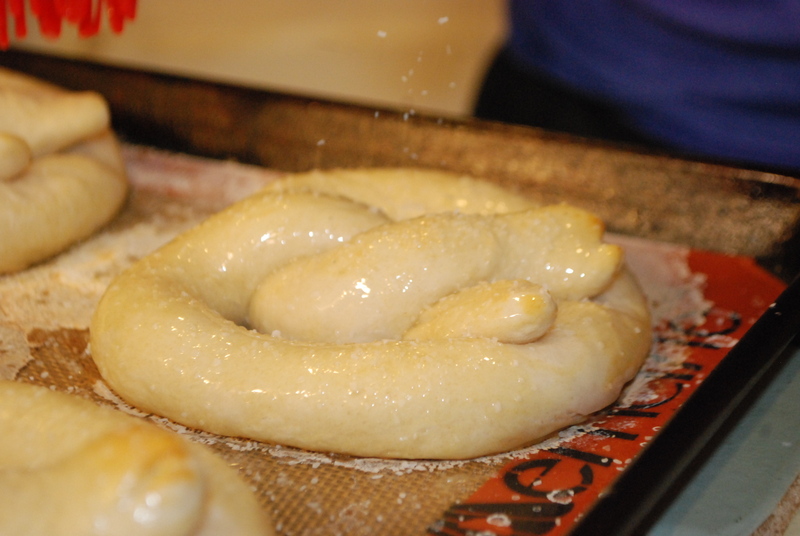 This photo shows some pretzel sticks being brushed with butter and sprinkled with coarse salt halfway through baking. 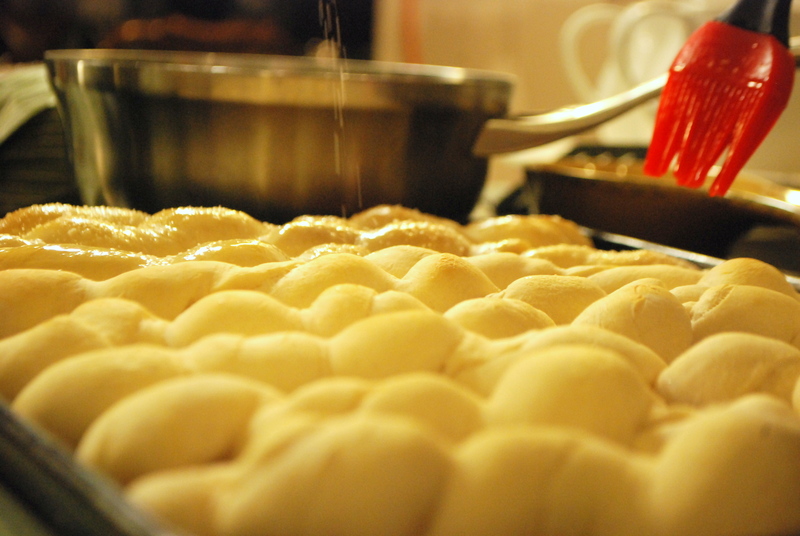 After an additional 5-10 minutes of baking, take out of the oven and place on a cooling rack. I like to arrange my pretzels in a heaping pile on a pretty plate. Serve with any mustard you like, or an assortment of different mustards. Recently I’ve been loving yellow mustard for the first time in my life. You can also serve with a traditional German cheese dip called obatzda. Prost! I love cheese on my pretzels! Is there a quick way to make a melty cheese dip? 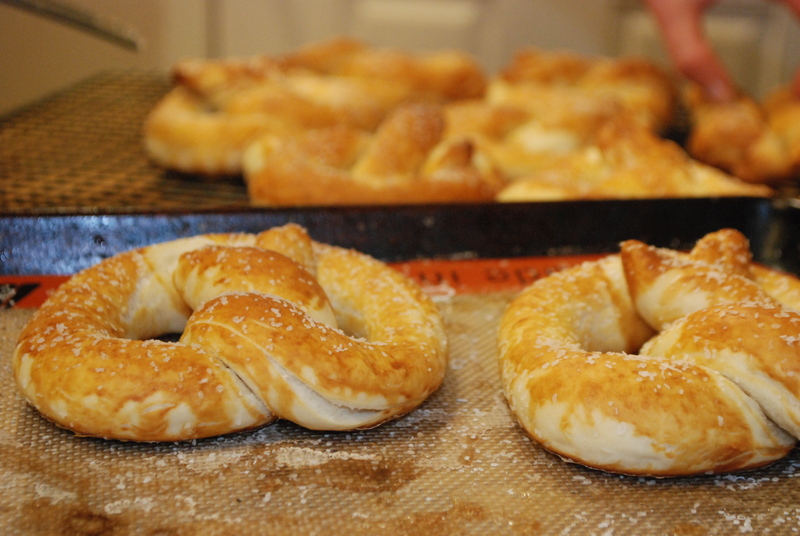 Is there also a way to do a slightly sweeter pretzel with cinnamon or something along those lines? Pretzels would be great with a fondue. I will post a detailed recipe on fondue, but basically, you toss shredded cheese in a bit of flour or corn starch, then melt slowly with whatever additions sound good to you. And yes, of course you will be invited to fondue and pretzel night!